Get something special for yourself….or a friend! May You Know Joy Meditation Cards are a beautiful and simple way to cultivate mindful awareness in your life everyday. Seeds of Intention Cards are the pocket sized little sister of the May You Know Joy Meditation Cards. 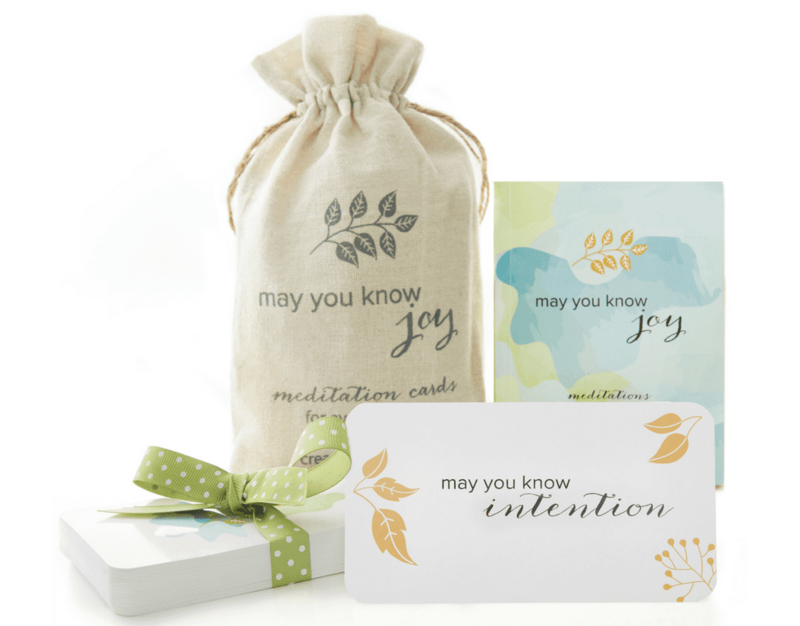 Both the May You Know Joy Meditation Cards and the Seeds of Intention Cards together. Due to popular demand, the May You Know Joy Journal will be available this November. This no-rules journal is for writing and creative expression. If you are seeking meaningful change in your life and are interested in one-on-one coaching, let’s explore working together. Book your 3-, 6- or 12-month intensive coaching package. Bi-weekly, hour-long sessions to dig deep for meaningful change. Starts at $395/month.